Schenectady NY Is A City Moving Forward! Find Great Entertainment, Restaurants, Lodging & More! Experience the quaint charm and contrast between new and old that make the city of Schenectady NY a special place. This vintage city has architecturally unique neighborhoods along the Mohawk River, a history rich in manufacturing and innovative industries, and a keen eye toward future growth and development. Visitors to Schenectady will find it's a great place to relax! A diverse choice of restaurants is available for hungry theatre patrons, business travelers, or vacation travelers at any time of the day, from quaint and distinctive Italian to great pub dining and fine American cuisine. Lodging accommodations range from chain hotels to private inns, motels, and bed and breakfast inns. Visitors are happy to find that entertainment is one of Schenectady's specialties! 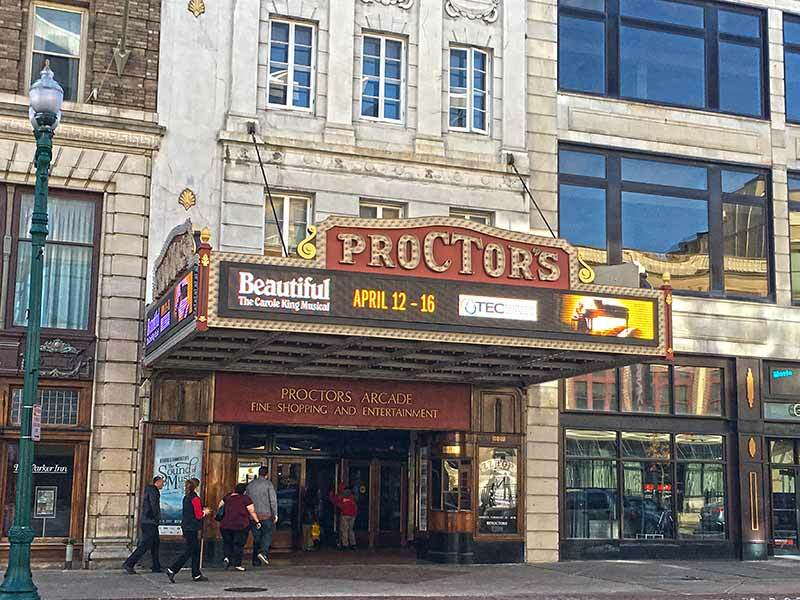 Originally a vaudeville theatre, Proctor's is a fully restored major entertainment venue that hosts dance, movie festivals, musical and arts festivals, comedy shows…the list goes on to include nearly every major entertainment genre. "Jazz on Jay" is an annual program that sponsors musical performances in the city during the summer season. History is present here as well: Proctor's was also the site of one of the first public demonstrations of television, projecting an image from a studio at the GE plant a mile away. The Stockade Historic District features dozens of Dutch and English Colonial houses dating from the 18th and 19th centuries and was New York State's first National Register historic district, designated in 1965. Another historic neighborhood, the GE Realty Plot, was built by General Electric Company executives in the early 20th century. "The Plot," as the locals call it, is known for its eclectic collection of grand homes. Schenectady is located just northwest of the nearby Capital District city of Albany. With its diverse selection of places, sights to see and things to do, Schenectady County appeals to all age groups and interests.